The A.T. Still Memorial Library regularly produces the Check it Out! 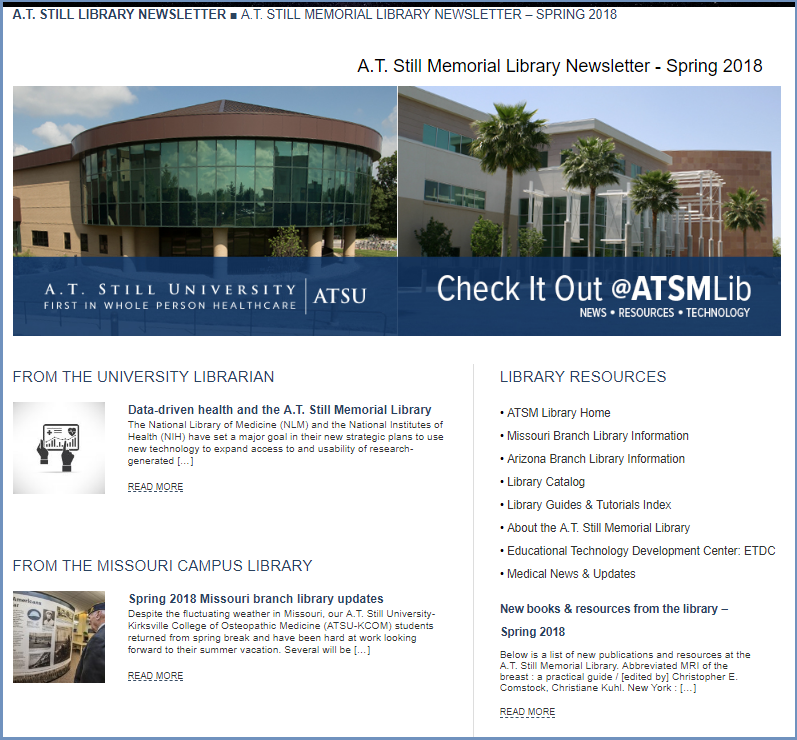 Newsletter about Library doings and new resources. This page serves as an archive of past editions and a showcase for new ones.